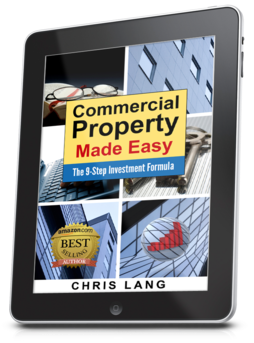 As an Amazon Best-Selling author responsible now for 7 books on Commercial Property Investing ... this latest one is the culmination of over 45 years of buying and selling commercial property. My previous 6 books have been all about the "WHAT" ... as far as Commercial Property is concerned. Whereas, this one is intended to help you with precisely HOW to become successful yourself. Why not follow in the footsteps of 3 first-time investors? 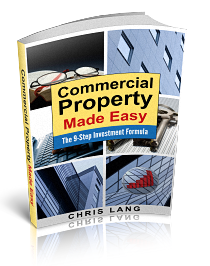 And you will quickly discover the easy-to-follow process for Commercial Property investment – which is now summarised in a simple 9-Step Investment Formula. Anyway, you have a choice as to how you would prefer to access your copy of the Book. This means you will have your own copy of the Book, loaded directly onto your personal computer or laptop. Plus, you'll also be able to print out some of the key pages, where you will need to take notes – having listened to the various Audio files you'll be linking to throughout the book. There is also Video material, as well as several quizzes along the way – to help you check on your progress. Apart from the obvious cost saving ... this version will provide you with the added flexibility of being able to download it to your iPad, Smart phone or Kindle Tablet. And that means, you can always have it available to refer to – wherever you are. It actually covers all the basics ... from individual Shops and Offices ... right through to Listed Property Trusts. 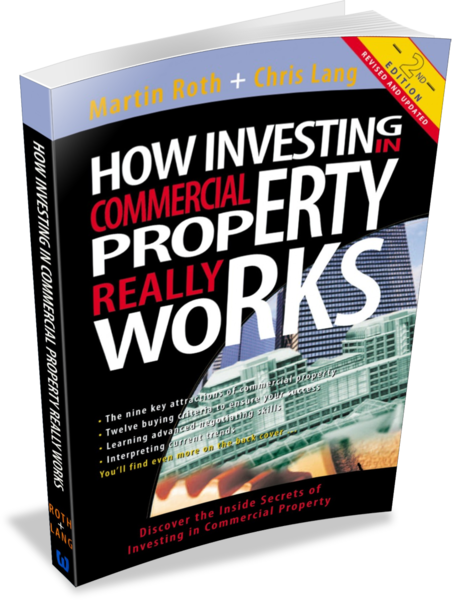 Being a joint effort with share-market guru (Martin Roth), that means every aspect of Commercial property has been addressed. And you can now grab an eBook version.